Lake Superior State University-Sault Ste. 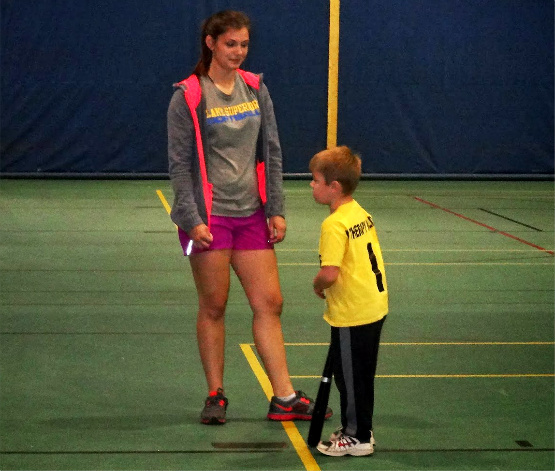 Marie, MI: Over the weekend Brian participated in the fun free baseball/softball clinic held at LSSU. 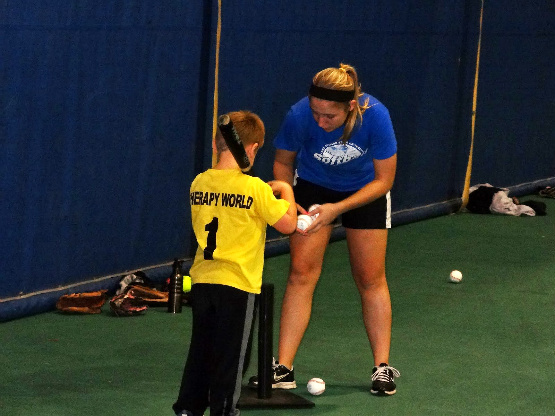 The clinic was hosted and ran by the girls’ softball team, and they did a great job with the kids. Brian was a little shy with the girls at first, but warmed up when they offered to play catch with him. 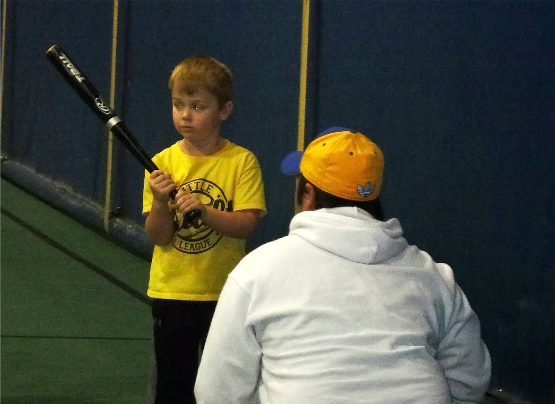 He did great from there with the drills and games that were played. 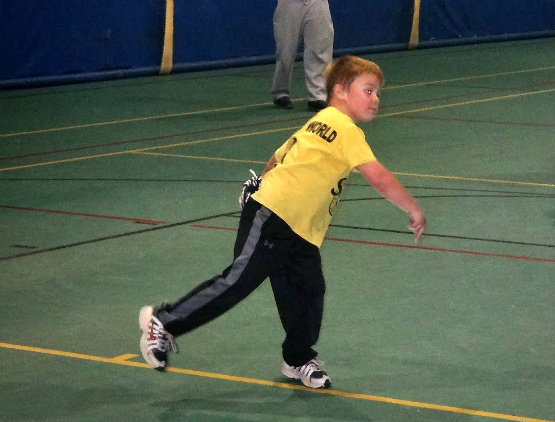 He hit the ball well off the tee, and in soft-toss. I really saw an improvement with him catching the ball and he’s always had a cannon for an arm. The lady Lakers will be holding another clinic next weekend, this time with more games and pizza for the kids. With the weather cold, rainy, and snowy, I’m grateful the kids have this to look forward too, and a chance to stay active. It’s tough living up here at times with our nasty winters, as they’re obviously not very baseball friendly. The camps are held in the Student Activities Center at the college, which continues to be my Achilles’ heel when it comes to taken decent photos. Wow, Brian is really growing up! I believe you when you say he has a cannon for an arm – he’s really looking like a good little ballplayer in your photos. Thanks, Kristen! He is getting to be such a big boy. I really missing him during the day now that he’s in school. He does like his baseball, too.